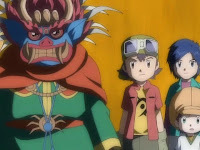 In this episode, the gang is stranded on the moon and Takuya's solution is casting magic missile at the darkness. 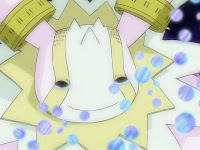 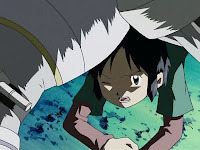 In this episode, a mystic forecasts that the heroes are destined to fall to a new opponent and that Lucemon will be reborn. 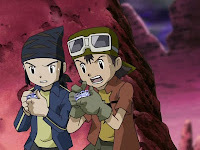 Dude, spoilers! 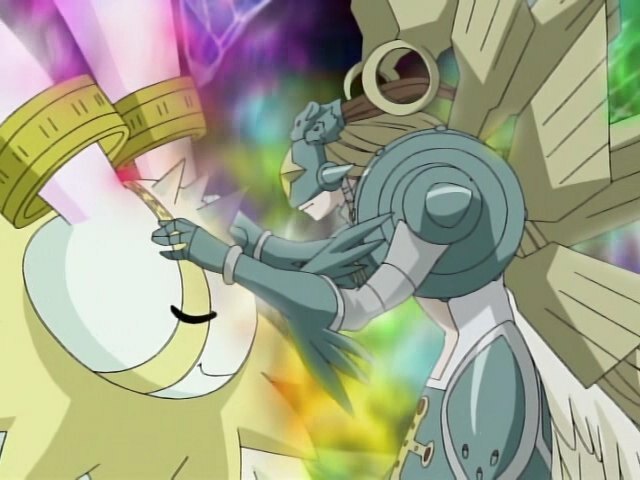 In this episode, two momentous occasions as Cherubimon is finally defeated and Zoe finally apologizes for being boring. 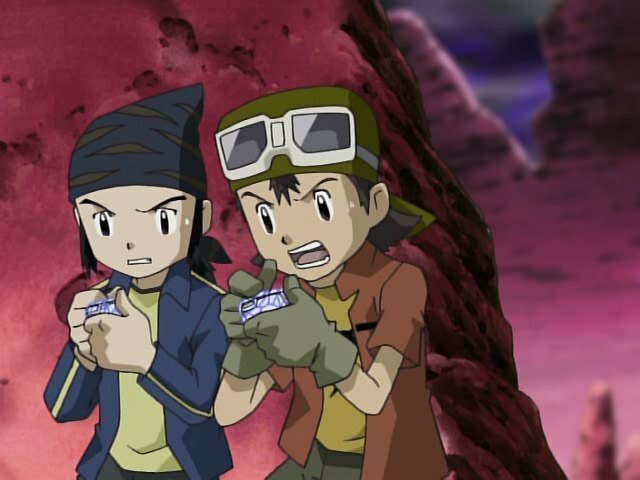 In this episode, Takuya and Koji are incapacitated and the only prescription is more cowbell. 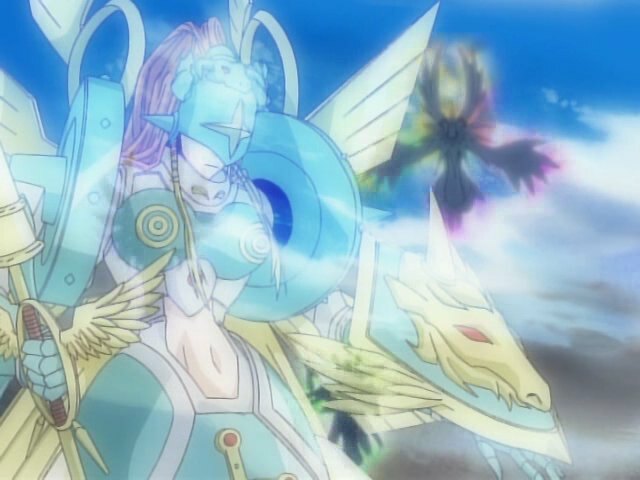 In this episode, Ophanimon tries to prove that she wasn't trying to betray Cherubimon, then ends up TOTALLY betraying Cherubimon. In this episode, a long trek to hear the same backstory about Cherubimon we already heard... except now it's the director's cut! 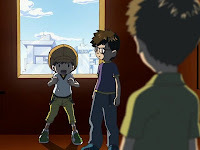 In this episode, Koji ponders suddenly having his twin brother in the party while the rest of the group ponders how not to die fighting Cherubimon. 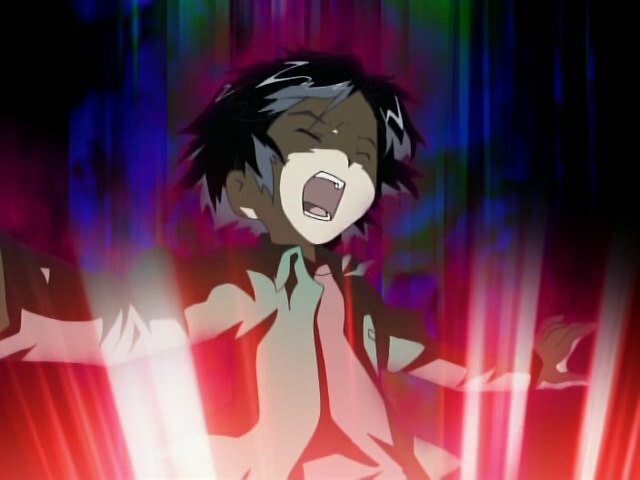 In this episode, Koji literally beats the hell out of his brother.